The Maxi-Matic Coffee Maker is a great option when it comes to choosing the best potential coffee machine for your home. Turning it on involves a very easy process, just like the other parts of the unit, along with their functions. 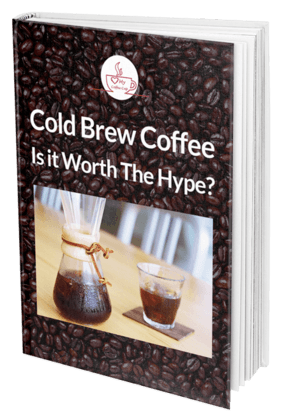 As a matter of fact, there is no need to worry over the settings as well as programming as compared to bigger units, because this model can brew coffee with outright ease, as well as spot-on accuracy. The actual preparation usually starts with placing coffee through its swing out filter compartment. This filter is entirely removable, assuring fast loading, and easy to clean up. On top of that, the filter is also washable and re-usable, thus assuring an eco-friendly unit. Ultimately, this also works for your savings too. 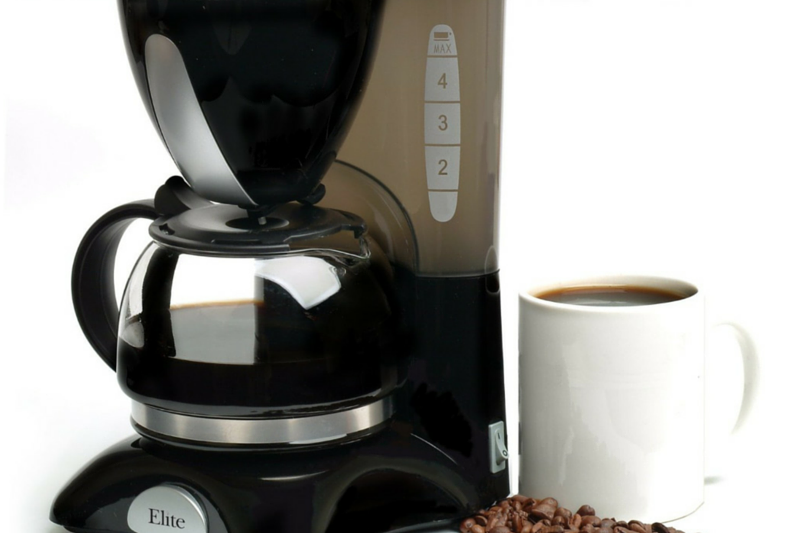 Let's dig into the Maxi-Matic Coffee Maker Reviews! Semi-transparent water reservoir (that can hold 4 cup capacity). Spot on accuracy in brewing. No automatic shut off feature. 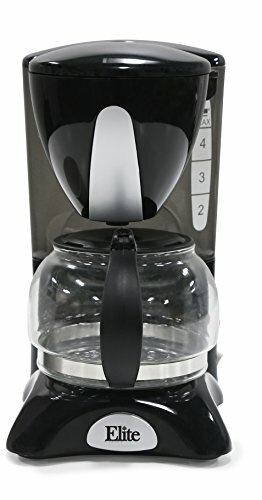 The Maxi-Matic 4 Cup Coffee Maker can be purchased on Amazon for Check on Amazon. 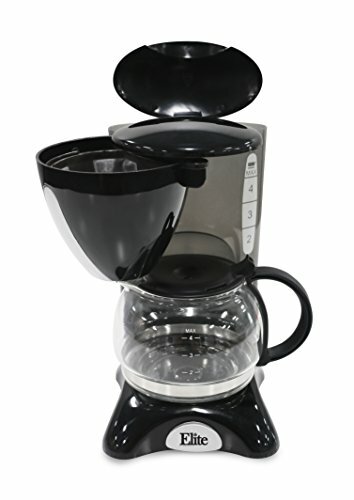 If you are searching for a coffee maker which can be easily added to your kitchen collection at home, the Maxi-Matic Coffee Maker is your perfect choice. One great feature of this model is its pause and serve function. This feature can allow you to sneak a cup of coffee even though it is still brewing. It provides a glass carafe which comes with measuring marks, a drip free pour spout, as well as a stay-cool handle. The tank also comes with a water level indicator, making it very convenient to use! You also do not have to worry about the slipping feet on its base. All the accessories are all safe for use in dishwater. 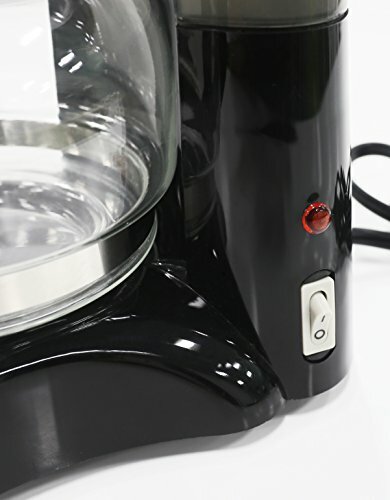 This little brewer is perfect for your office, home, as well as travel. The best part of it is that this model qualifies for coverage on product protection. This means that you have the opportunity to protect your investment, eliminating any out-of-pocket expenses, as well it protects against repairs or replacement which can be costly. ***We hope you enjoyed reading our Maxi-Matic Coffee Maker Reviews, be sure to leave your comments below!